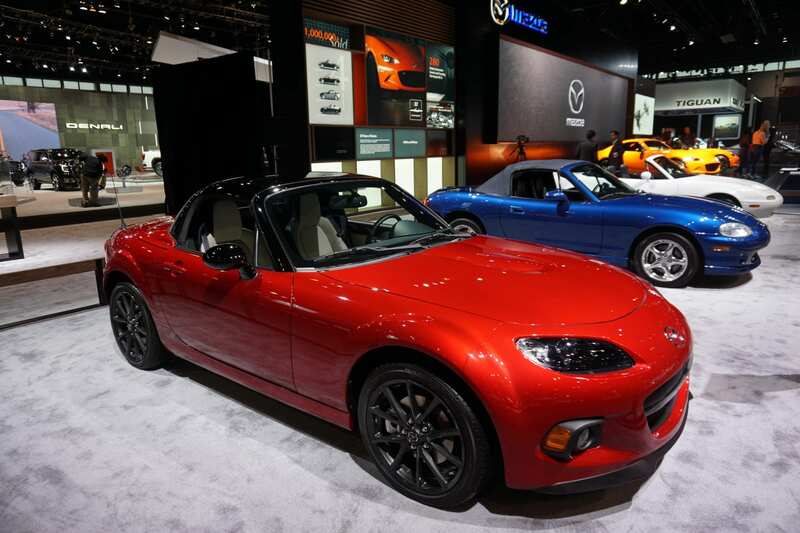 Our favorite beloved two-seat roadster turns 30 this year and to commemorate the MX-5 Miata’s three decades of success a new 30th-Anniversary Edition joins the lineup. 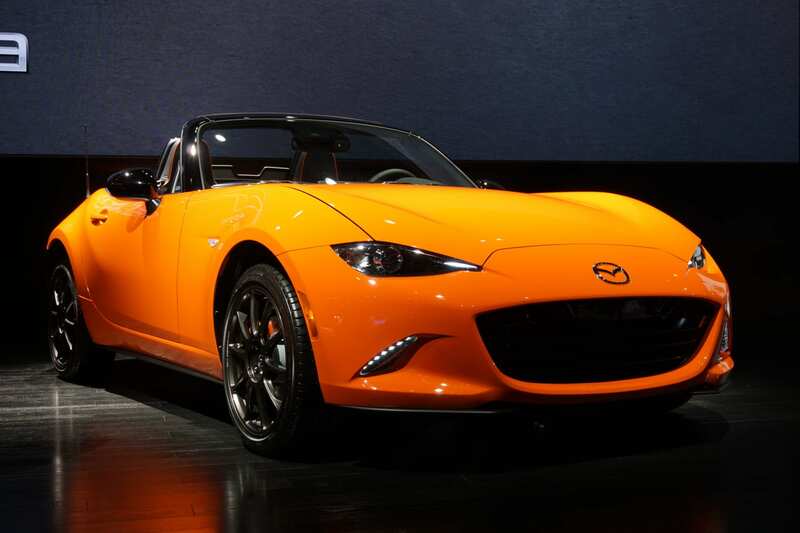 And there’s more than just some flashy appearance goodies that make this a worthy addition to one’s garage. 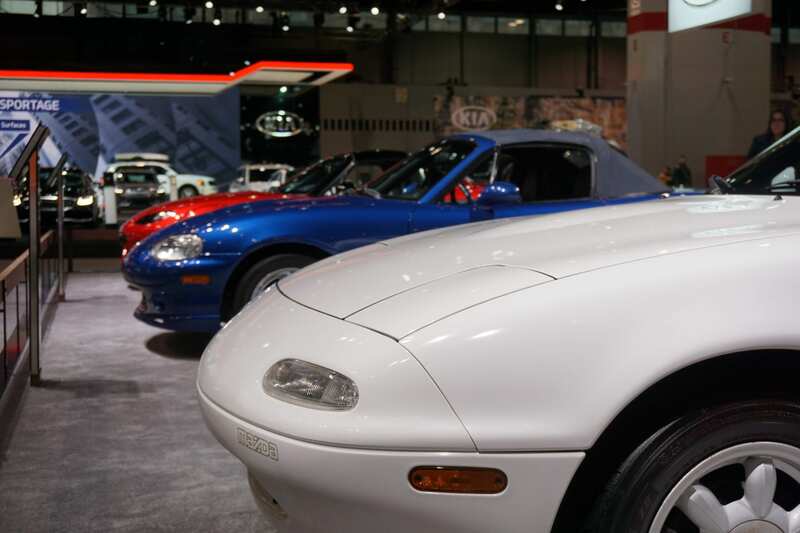 The MX-5 Miata made its first public appearance here in Chicago way back in 1989, a year before yours truly was born, so what better place to pay tribute to it than here again in the Windy City. 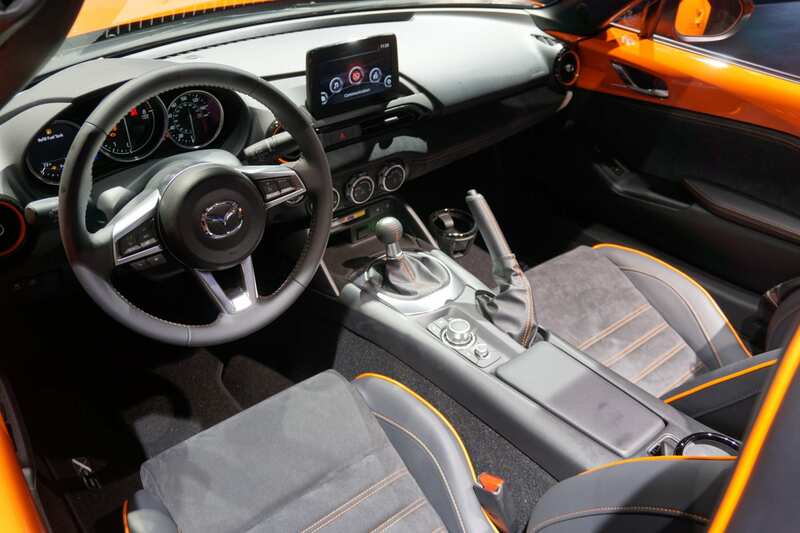 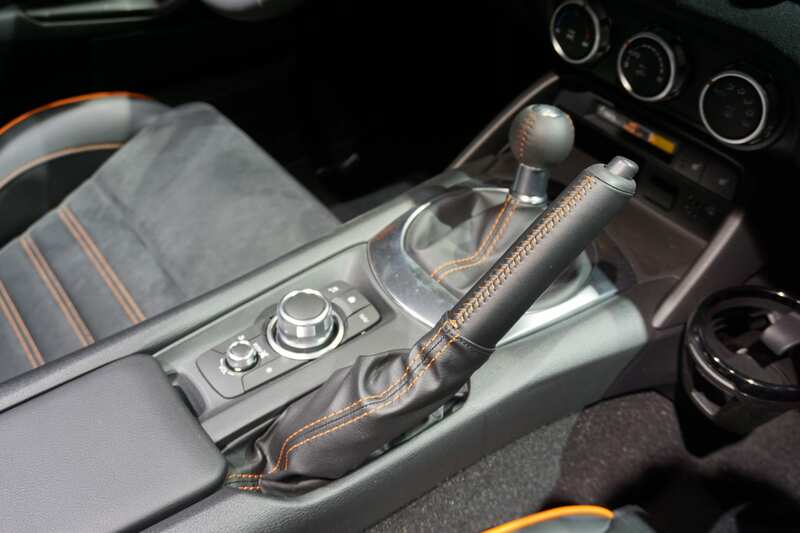 An exclusive Racing Orange paint perfectly compliments the MX-5 Miata’s piano-black mirrors, and A-pillars, and inside a pair of suede-like Recaro seats have orange piping and stitching. 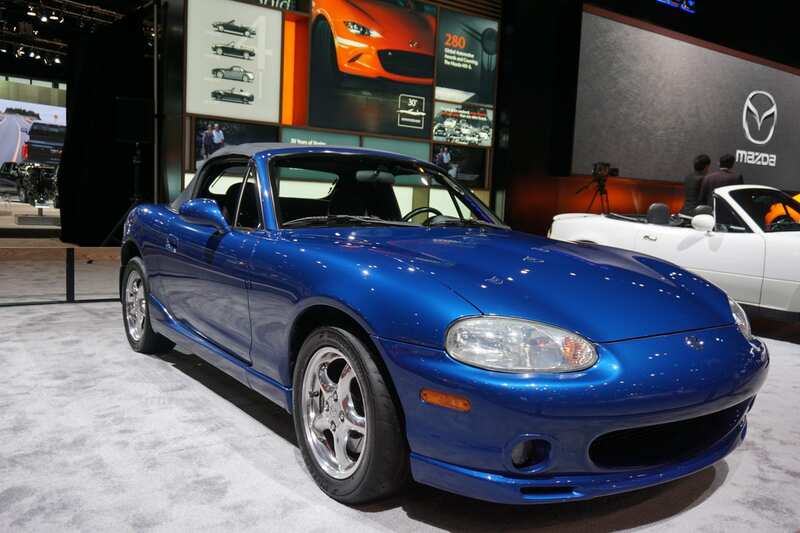 A few mechanical upgrades set this 30th-Anniversary Edition model apart from your common MX-5 Miata. 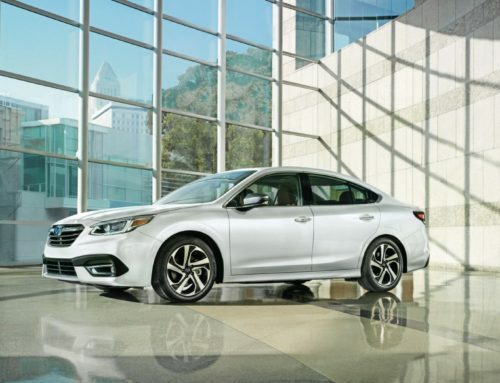 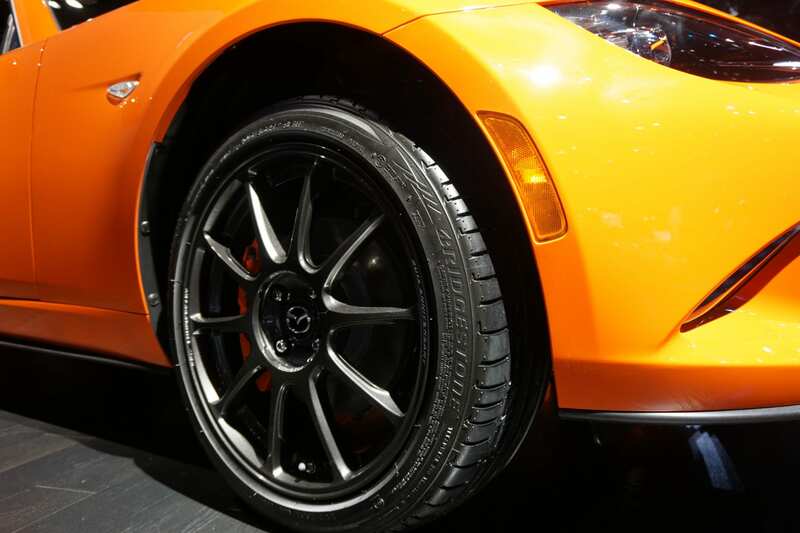 When equipped with the six-speed manual-transmission, specially tuned Bilstein dampers tag along, and all models have standard Brembo brakes hiding behind black, forged 17-inch Rays aluminum wheels. 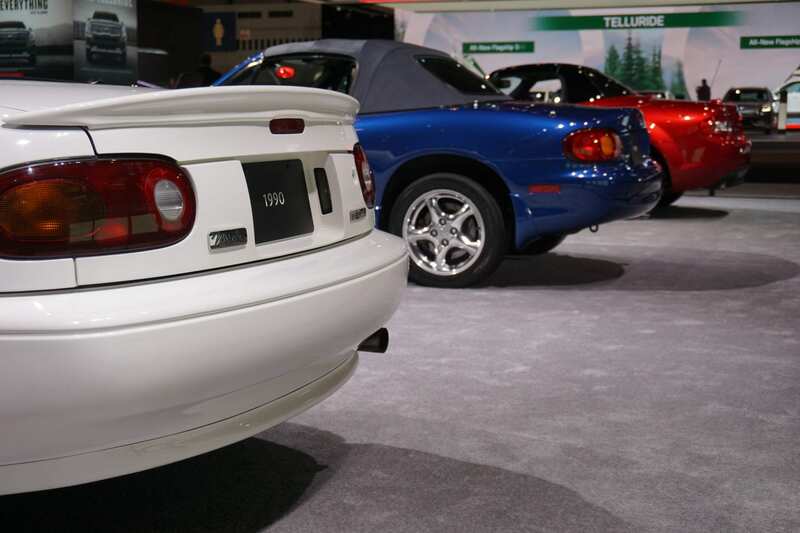 Every single 30th-Anniversary Edition MX-5 Miata was claimed within hours of its announcement. 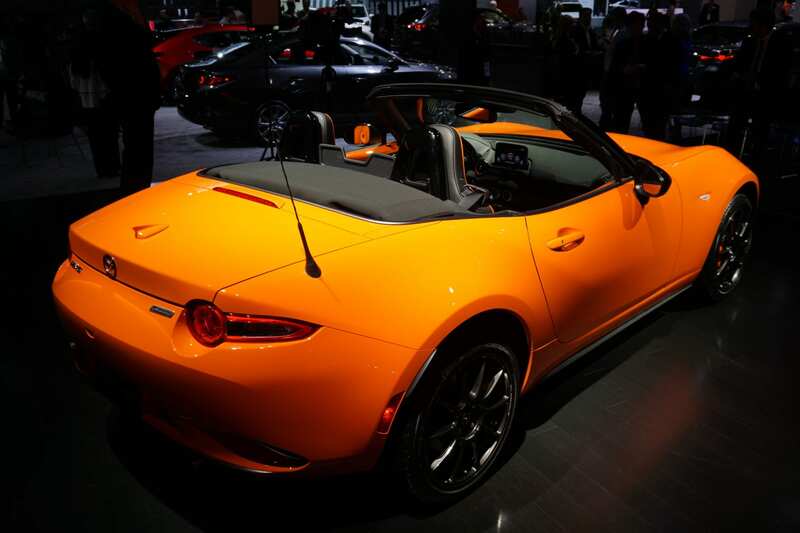 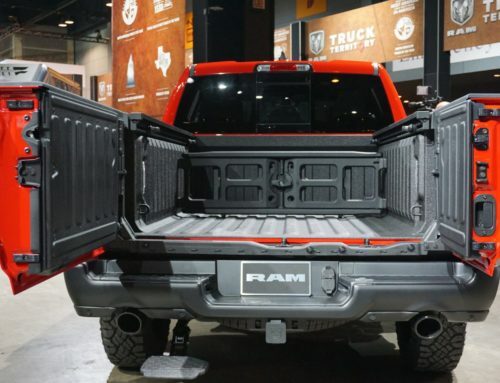 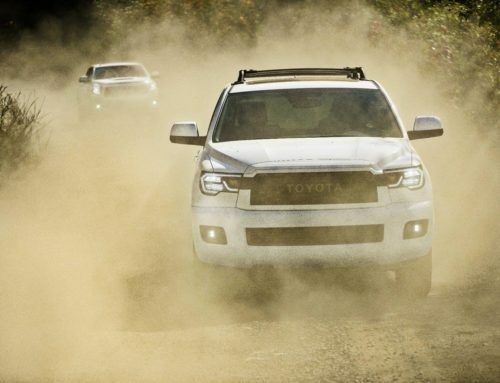 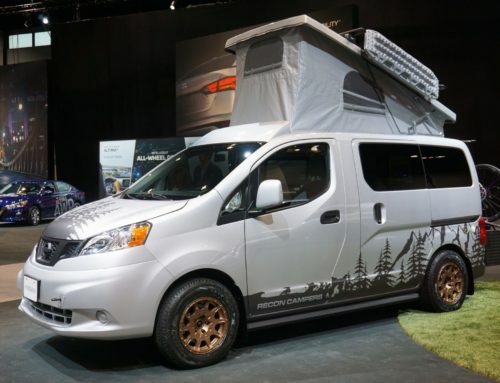 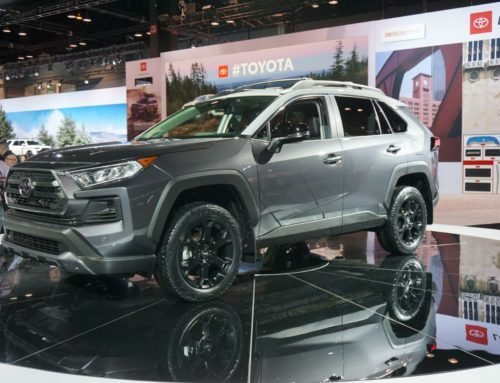 Only 3,000 of these limited tributes will be built, both in soft-top and retractable hardtop RF form, and according to Mazda’s preordering website, all of them, including the 500 set to arrive here in the United States sold out just hours after the news broke this morning about its release. 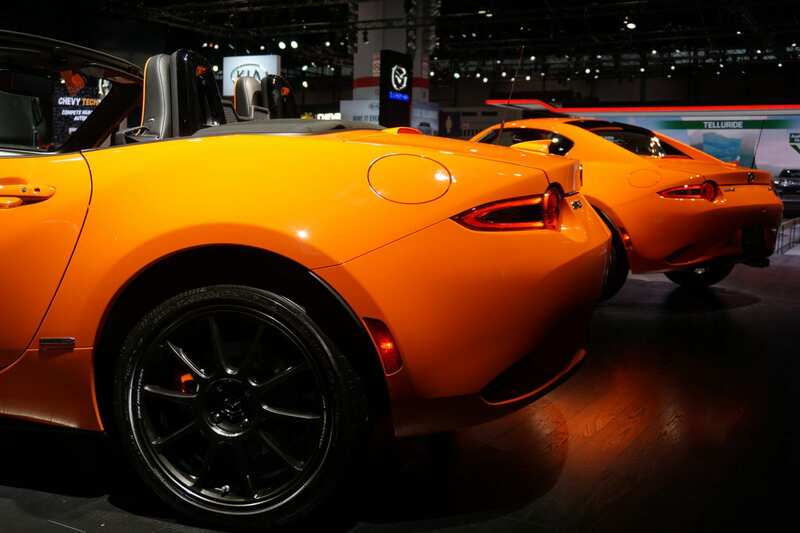 Thankfully, if you’re still hungry for an orange, there’s a waitlist. 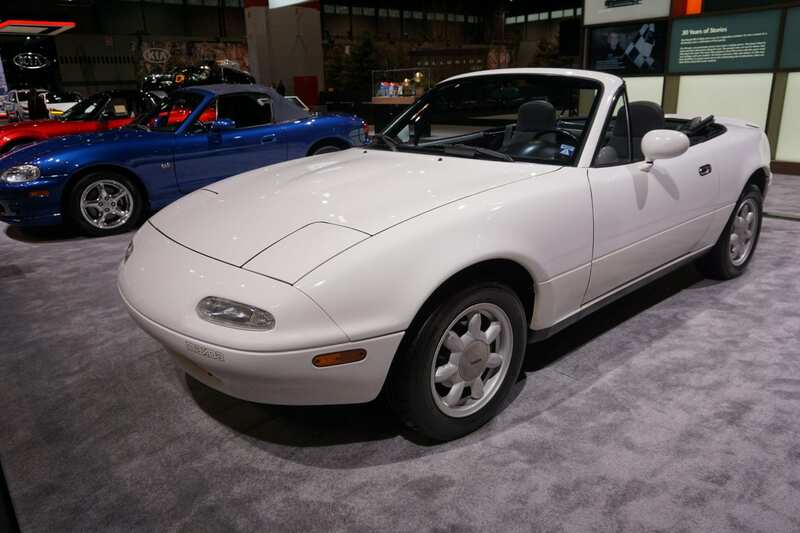 But to cheer us up, Mazda put the icing on the cake with three other landmark MX-5 Miatas parked nearby: A 1990 model year, a 10th-Anniversary Edition 1999 model, and a bronze third-generation NC.